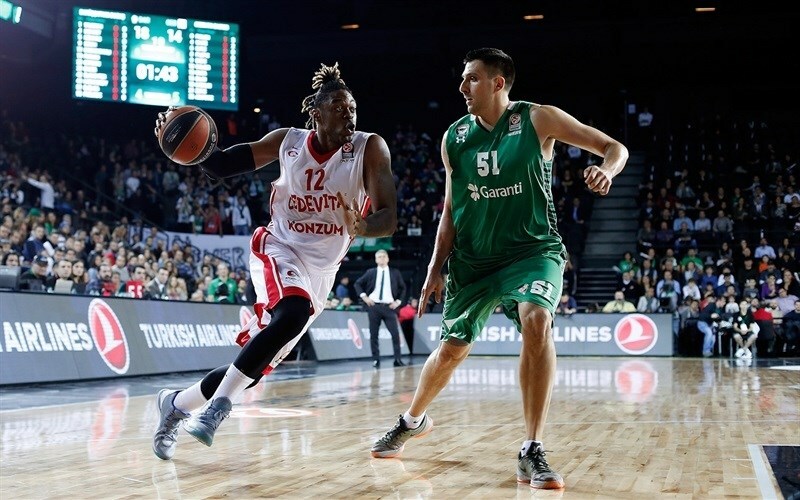 Cedevita Zagreb claimed its fourth road win of the season and second in Istanbul when it defeated Darussafaka Dogus Istanbul 72-79 on Thursday at Volkswagen Arena. The game was close through the fourth quarter, which featured four lead changes and four ties. 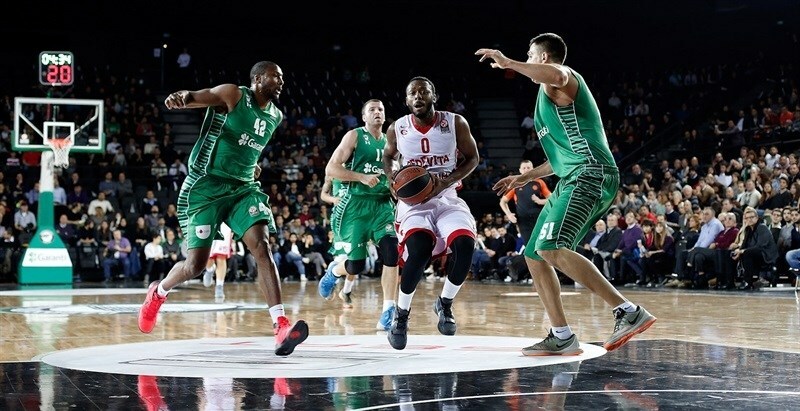 Henry Walker sank a go-ahead three-pointer for the visitors with 28 seconds remaining and after stopping Darussafaka at the other end, Jacob Pullen iced the game from the line. 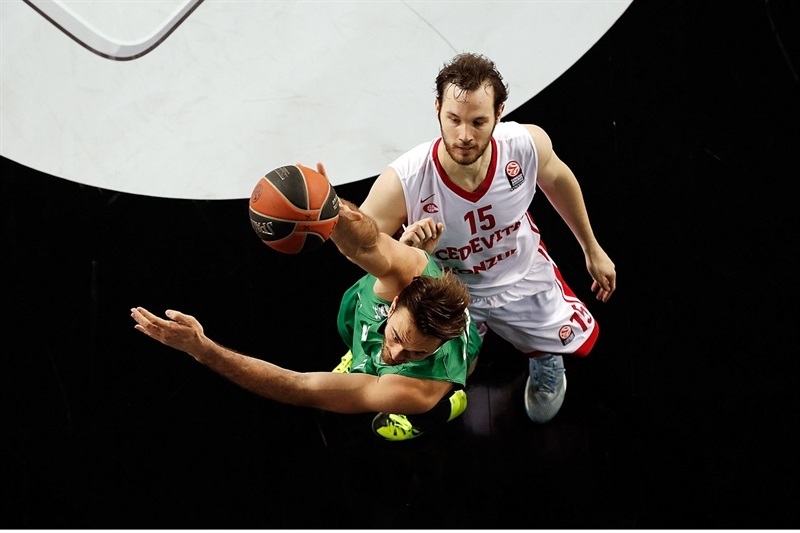 The result boosted Cedevita’s record to 1-1 in Top 16 Group E, while dropping Darussafaka to 0-2. Pullen erupted for 25 points to match his career-high. He made 5 of 12 three-point shots and also dished 5 assists. Walker added 13 points and Miro Bilan posted 11 points and 9 rebounds for the winners. 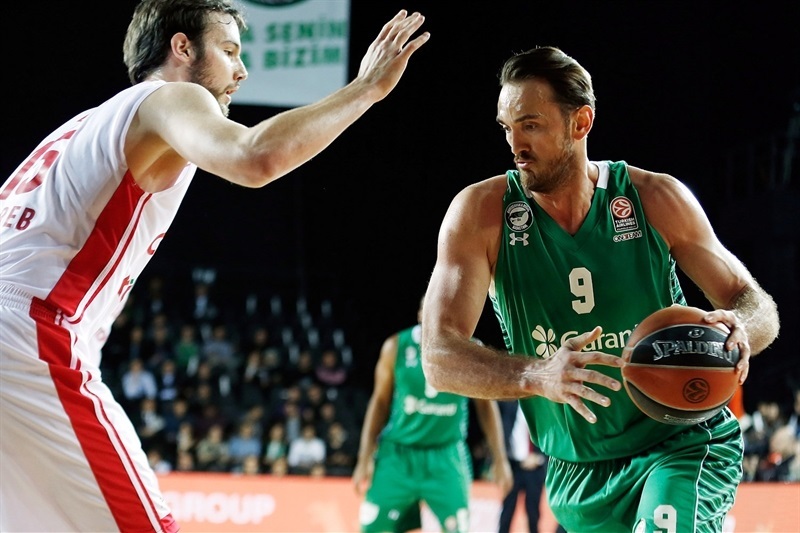 Semih Erden paced Darussafaka with 13 points and 4 blocks, Scottie Wilbekin scored 12 and Manu Markoishvili added 11 in defeat. Erden drew a foul on the opening possession and split free throws to get the hosts on the scoreboard. Marko Arapovic netted Cedevita’s first points with free throws seconds later. Mehmet Yagmur drove for a three-point play. Erden stopped Bilan inside, but James White soon tied the game on the break. Jamon Gordon countered with a basket in transition, but Luka Babic drilled a three and Arapovic faked out his defender for a slam and a 6-9 Cedevita edge. Erden erased it with a three-point play. After a TV timeout, Erden rejected Pullen to set up a fast break that Milko Bjelica capped with a layup. Another fantastic rejection from Erden, this time of Luka Zoric at the rim, was followed by another basket-plus-foul for the Darussafaka center. On the ensuing play, Yagmur’s steal set up a Markoishvili layup to cap a 10-0 run that made it 16-9 before Cedevita called timeout. 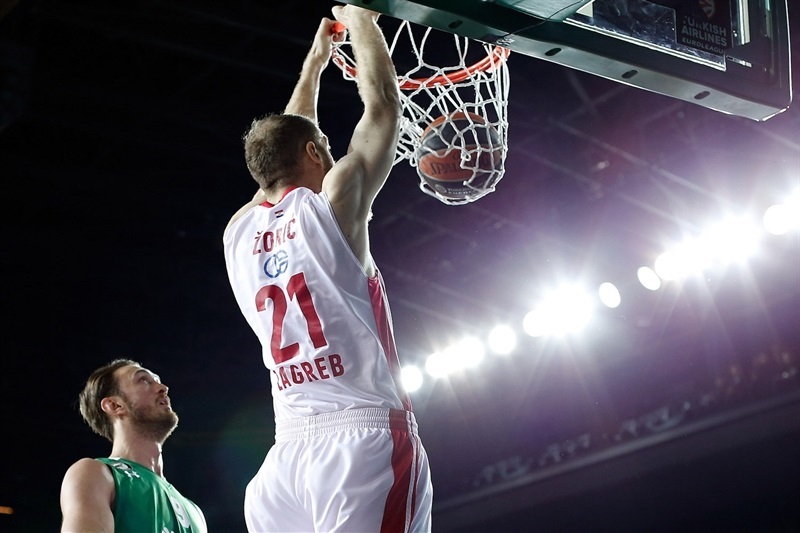 Zoric ended the Cedevita drought with a slam and Pullen buried a triple to revive the visitors. Yagmur missed a three, but stripped the ball and found Bjelica for a layup. After free throws by Walker and Bjelica, it was 20-16. Wilbekin hit a pull-up jumper for the hosts only to see Walker bury a three at the other end. Emir Preldzic hit a mid-range jumper and Wilbekin ended the quarter with free throws for a 26-19 Darussafaka lead. Walker made a tough shot in the paint and Bilan scored twice to bring the visitors within 1. Marcus Slaughter’s tip-in kept the hosts cruising, but Fran Pilepic sank a jumper. After a timeout, Wilbekin and Pullen traded threes. Then Pilepic connected from downtown to put Cedevita on top 31-33 midway through the quarter. Slaughter rejected Pullen and then Markoishvili’s jumper tied the game. 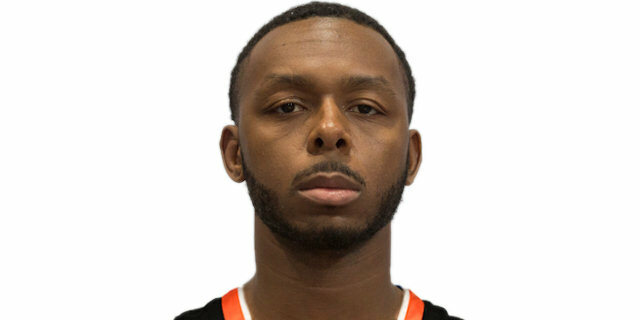 Slaughter netted a pair of free throws to put the hosts back ahead, but teenager Dzanan Musa countered with a deep three for a 35-36 Cedevita lead. Zoric added a jumper to silence the crowd. Reggie Redding made a tough basket from the baseline only to see Musa make a layup. 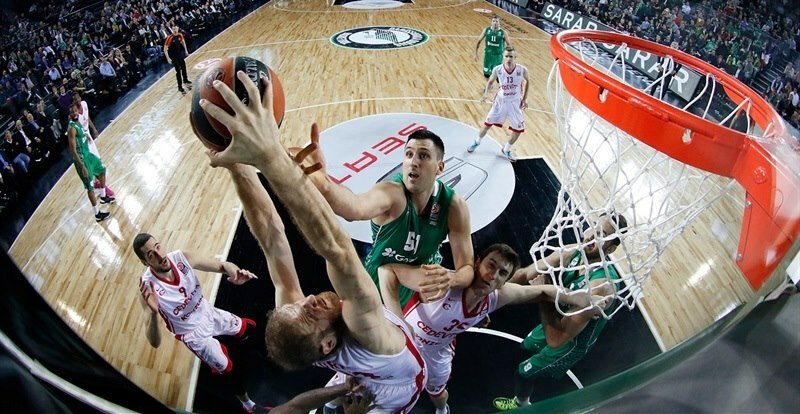 The hosts called timeout and Erden made his way to the rim for a slam to bring Darussafaka within 39-40 at the break. Erden danced off a pick-and-roll for a layup seconds into the second half. Redding took a long pass from Gordon for a layup, but Babic tied the game with a triple. Luke Harangody drained a three for his first points. Then Ender Arslan added a jumper and a layup to make it 50-43. Walker connected from deep to revive the visitors. 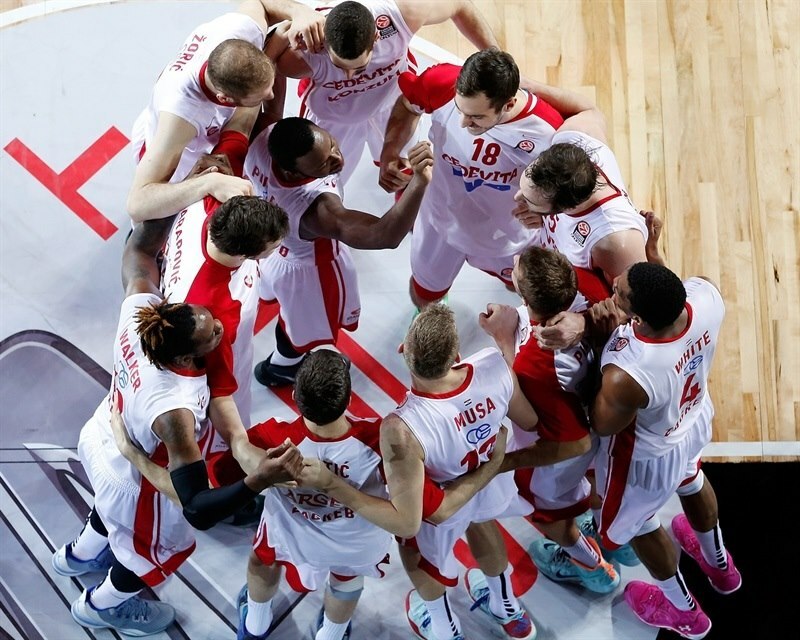 Cedevita held the hosts scoreless for four minutes and Pullen’s jumper made it a 2-point game. Arslan’s terrific pass found Erden for a slam, but Pullen countered with a tough layup in traffic. 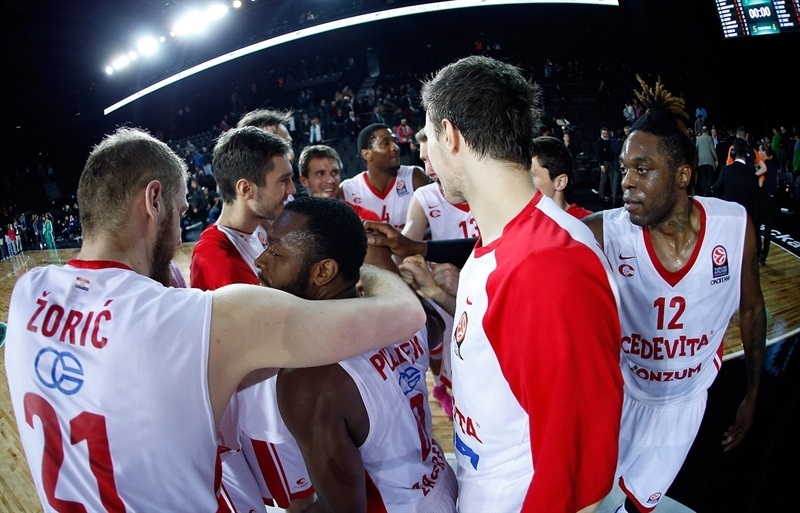 Pullen’s third three-pointer gave Cedevita a 52-53 advantage. Redding scored via goaltending and Pullen hit free throws. After a Wilbekin jumper, Pullen pulled up for another three-pointer. Arslan’s scoop shot tied the game at 58-58. Markoishvili put the hosts ahead before Pullen and Wilbekin traded triples. It was tied again at 63-63 after Babic free throws. 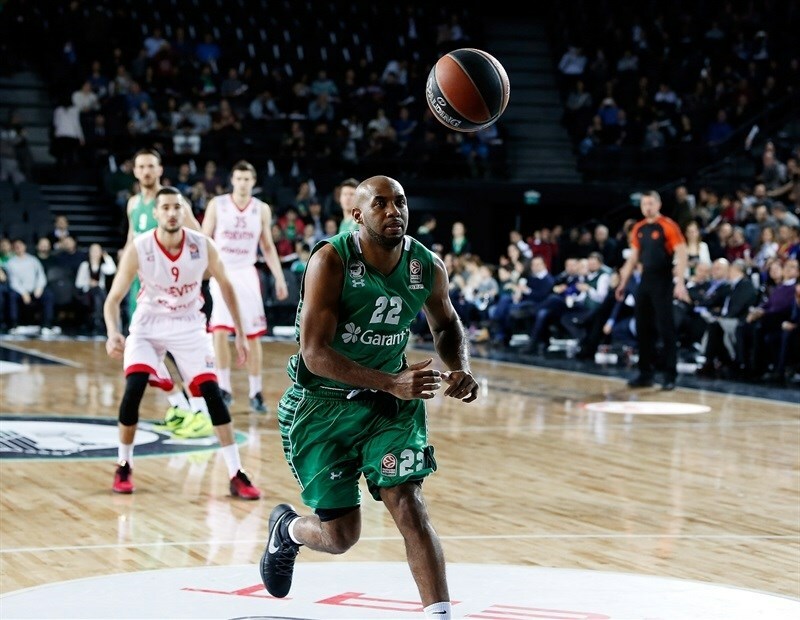 Markoishvili’s mid-range jumper and bonus free throw got Darussafaka on top again. 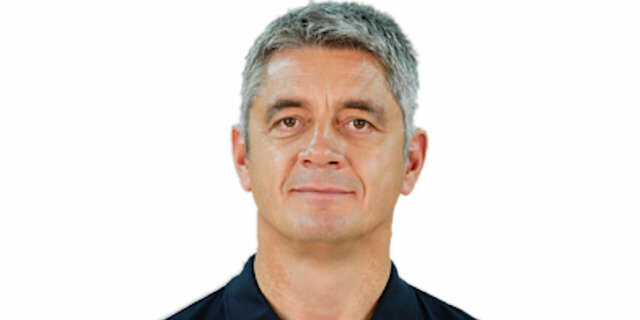 Bilan corrected Babic’s missed three, but Gordon found Bjelica for an easy slam. Bilan’s slam and foul tied the game at 68-68 with just under four minutes to play. Markoishvili answered with a jumper. Babic missed twice from the line, but Bilan grabbed a pair of offensive rebounds and capitalized with a mid-range jumper to tie it. Pullen‘s magnificent layup put the visitors up, but Gordon almost matched him to tie it with 80 seconds remaining, 72-72. Walker’s third three touched nothing but net to give the visitors a 3-point edge with 28 seconds on the clock. Gordon missed a layup and Pullen iced the game with 2 free throws with 15.9 seconds to go. 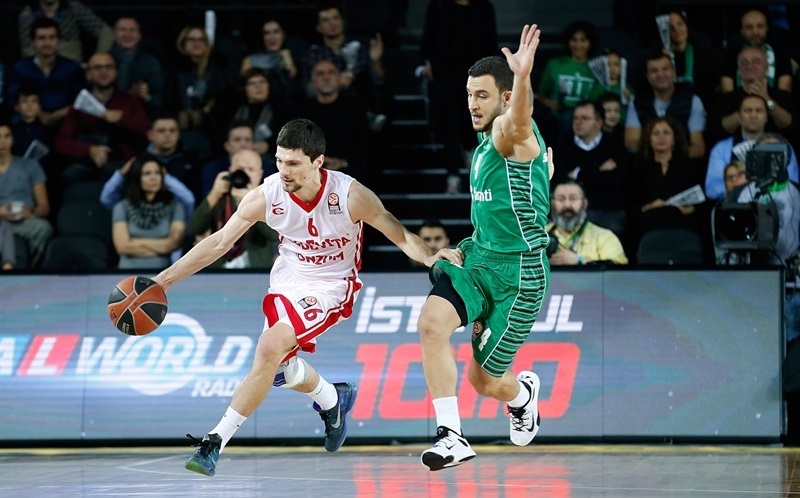 White added more free throws as Cedevita pocketed a key road win. "We are playing good [on the road]. In the second half we played like we wanted. Only in the beginning of the third quarter we had some problems, but after we got our game under control we were always very close and we deserved this victory. We were smarter and made better decisions at the end of the game. " "I think we did a good job of staying focused. They play good at home, but we did a good job of rebounding and running and in transition is where we play best. Miro [Bilan] couldn’t play for a few minutes and I had to step up offensively, cause I felt like we needed points. A couple of them fell in and after that I just tried to stay in a rhythm. At the end of the game we got other people to make big shots. Bill [Walker] made a big one at the end and [Babic] made some big plays. 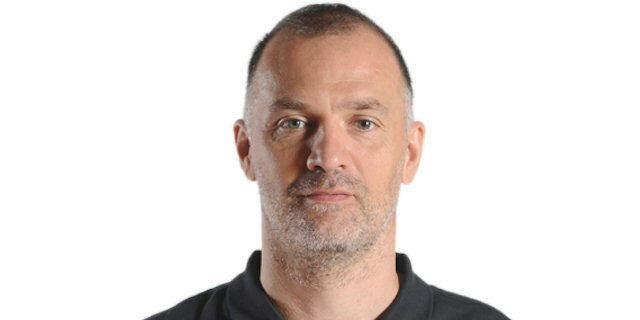 For us it’s just about finding a way to win on the road in a tough Euroleague. "